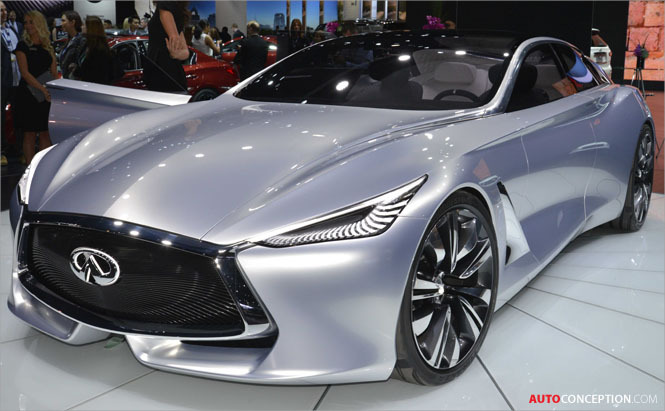 Nissan design boss Shiro Nakamura was declared the winner of the “Grand Prix du Design” yesterday evening at a gala dinner to open the International Automobile Festival in Paris. Shiro Nakamura received the award in recognition of his career in automotive design that has spanned four decades. 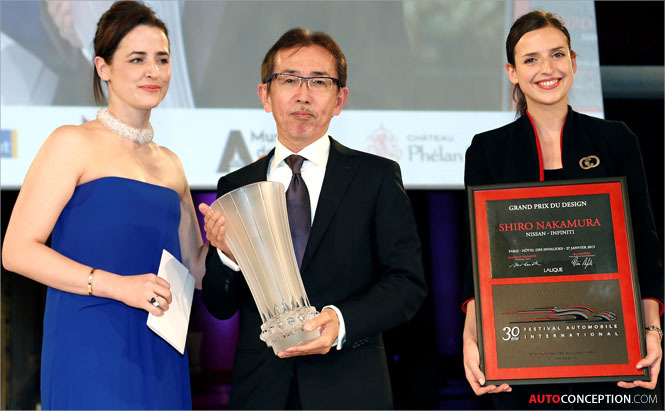 The Grand Prix du Design was bestowed upon Shiro Nakamura by a jury comprised of prominent figures from the worlds of French media, commerce and design. 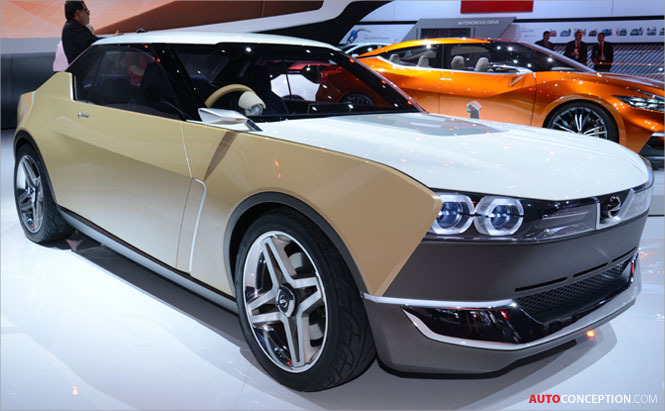 As senior vice president of design and chief creative officer for Nissan, Shiro Nakamura’s responsibilities include the design of all vehicles under the Nissan brand, plus those of Infiniti, the company’s premium arm and Datsun, the company’s entry-level brand. The award ceremony took place at the Hotel des Invalides, where Nissan displayed its IDx Freeflow (above) concept car, which has been nominated in the category for Most Beautiful Car of the Year, and Infiniti’s Q80 Inspiration (below) concept car.